Even if you’ve never seen Pennywise the Dancing Clown, you know what it’s supposed to look like. Scary, murderous clowns are a thing in our culture, the visual markers for which we’re all familiar with to varying degrees. 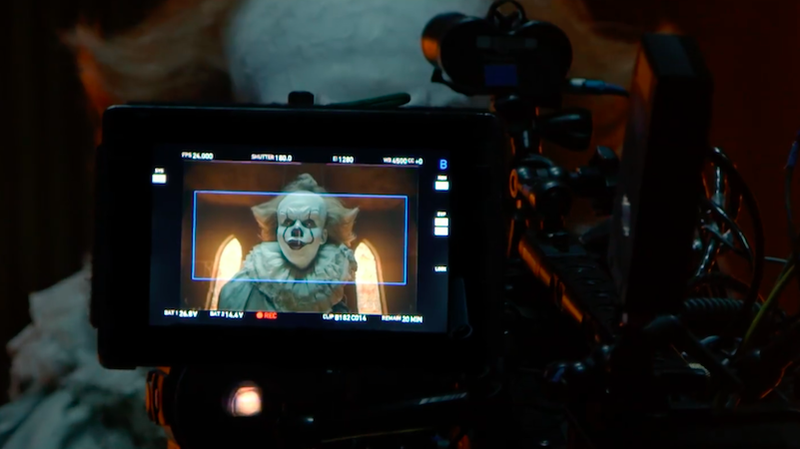 Still, though, no two killer clowns are alike, and in a new behind the scenes featurette for this year’s It reboot, we see just how much work was keeping Pennywise’s look a secret from the movie’s squad of young performers. While shooting It, director Andy Muschetti and the production team made a point of keeping Bill Skarsgard (Pennywise) away from the actors portraying the Losers Club in part because Muschetti wanted to ensure that the children’s on-screen fear was as close to the real thing as possible. When you take into account how Pennywise’s appearance becomes increasingly more monstrous as the movie goes on, you’ve got to imagine how those poor kids spent the following weeks showing up to set. Imagine having to keep suddenly running into a 6'4'-inch Swedish man made up to look like a killer clown whenever you came to your job.